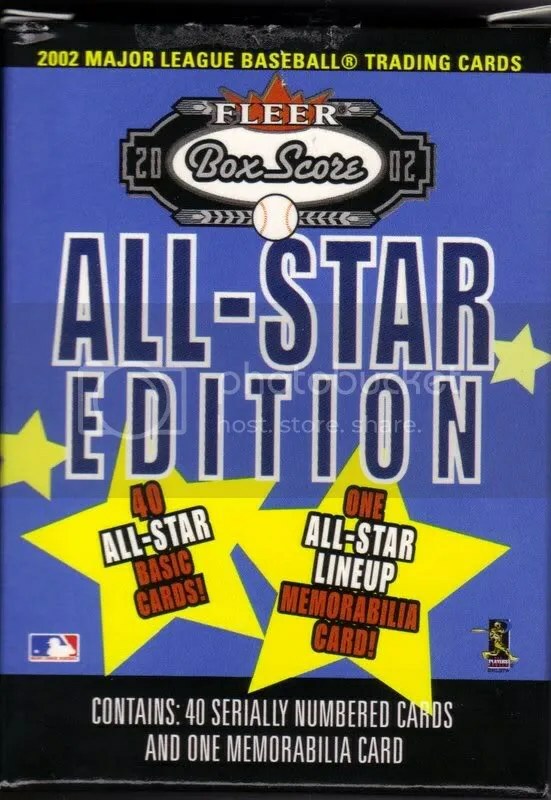 The game-used card inside this box also happens to be a triple or quadruple relic featuring nothing but all-stars. Check out the checklist here. The cards are packed very tight and I didn’t want to rip the box open or damage anything inside so I will leave that up to the winner of this box. 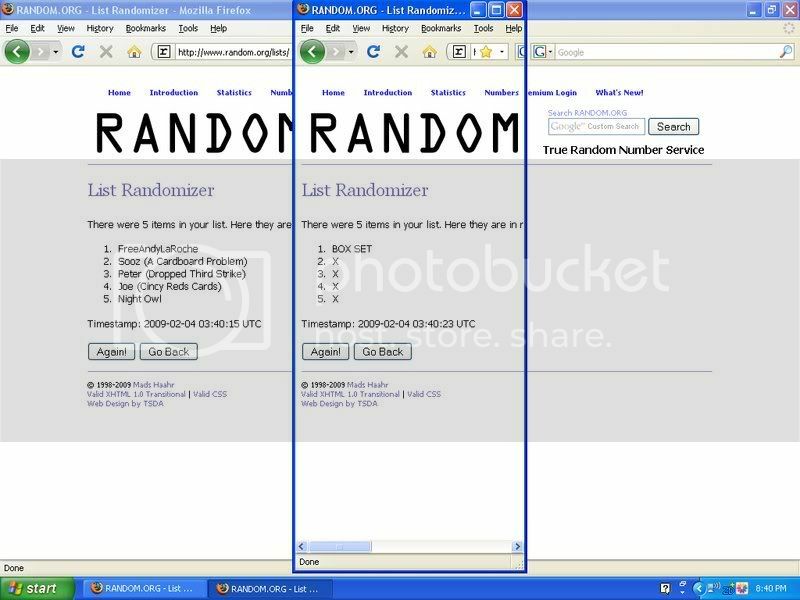 Congrats to everyone who won cards from the break. PLEASE SEND YOUR ADDRESSES TO jhollod-at-hotmail-dot-com. For those that got shut out, send me your info anyway. I’ll find something to hook you up with, even if it’s just some base of your team from this break. Thanks to everyone who participated. It was a lot of fun. Just six packs left! Here we go. Here’s a set I’ve always been a fan of. There are three long strips of bat behind bat-shaped windows. To me, this insert is a result of the game-used craze of this decade meeting the originality of the 90’s. I love it! All of the Bat Rack trios are numbered to 300, but there are also quad Bat Racks numbered to 150. Here are the middle six packs of the Fleer Box Score box. Just six packs to go! Here it is folks, the final box of our Old School Group Break. I selected 2002 Fleer Box Score to finish off the break for a couple of reasons. First, despite having an awful-looking base set, there are some unique inserts/game-used cards that I thought you folks might find interesting. Secondly, there are 3 game-used cards per 18 pack box and a special boxtopper that contains 40 serially numbered cards PLUS one game-used card. This boxtopper is the surprise I mentioned earlier and will go to one of you as well, but I’ll save that for the end. Let’s get to the packs. These Amazing Greats inserts also come with a jersey variation (that we’ll probably see later), a dual jersey variation, and a patch variation (/150). There’s actually a much harder to find version of this card that DOESN’T have jersey swatch, ironic huh? By the way, these are what the base look like. The First Edition parallel just has foil in the gray areas. Another card for Adam. He certainly won’t be in the drawing for the box set. There are plenty more goodies in this box so stay tuned.